There’s no argument, the N9 is a beautiful device. It’s almost hypnotically attractive, better perhaps than even the iPhone at the magical trick of making you feel that this is how phones were always meant to look. Sculpted from curved glass and a single block of matte polycarbonate, graced with a simple, powerful new operating system, this is the most radically restrained design that Nokia has ever produced. Aesthetically, that is; from a feature viewpoint it’s downright exuberant. All in all, a tour de force of phone engineering. Only one question really: What exactly is it for? This is not the first of Nokia’s new Windows phones, rather it is the first with MeeGo. First, and quite possibly last. 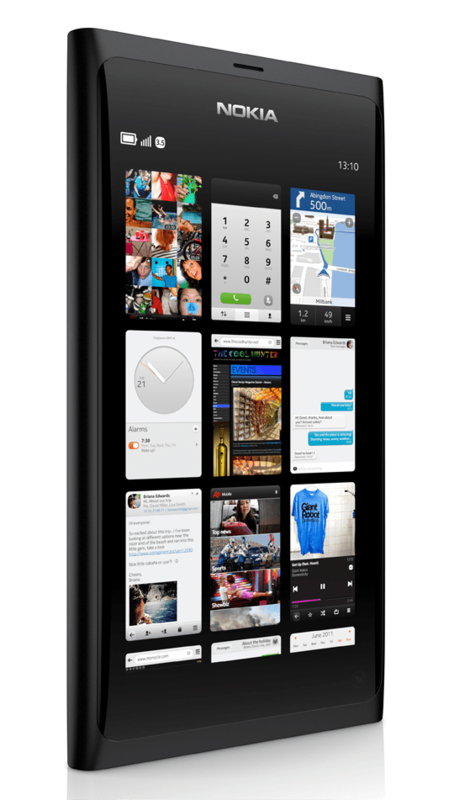 For MeeGo is the operating system that Nokia were developing to take on the iPhone. Until they lost their nerve, decided it couldn’t possibly be done in time to save the company, and let themselves be bought into Windows Phone 7 instead. And yet here’s a MeeGo phone, somehow ready before any Windows one. What exactly happened there? It had to be this way. If the Windows device had come out first, MeeGo might have been allowed to drift on without ever becoming finished product, and MeeGo was the one chance Nokia’s designers had to prove to the world – and to their boss – that they could have taken on Apple and won. Launching an already doomed product might seem a bizarre expense for an already beleaguered company, but not bringing MeeGo to fruition also had a price – one that might have been paid in resignations. The N9 may best be understood as a magnificent gift; from Nokia’s management, to Nokia’s talent. I find it particularly interesting how the rise of mobile OS ecosystems — beginning with Apple’s App Store — has so dramatically changed our perspective on buying a phone. Not that long ago you could simply buy the phone that most appealed to you every time you wanted a new one and there were no real consequences; buy a Motorola 123 one year, a Nokia 456 the next, and later replace that with a Kyocera 789. Your only real investment in the previous phone was knowing the interface and moving your contacts. Today’s mobile ecosystems, though, reward loyalty, knowing that your apps (and potentially even certain media) will follow you from device to device as long as you keep buying compatible products. In that old world this very appealing phone could have been a real success, but it matters now that MeeGo will likely be completely dead within 2 years. A shame in many ways, including making it much more difficult to launch an adventurous new line of phones, though a blessing to me as an app developer for a successful platform. That’s an insightful point, and ironic when you consider that Nokia pioneered the downloadable app with their WidSets. All right, there was a real gap between those and what Apple achieved with the App Store. WidSets were conceived as the phone equivalent of a desktop widget rather than a full application, so they were a possibly misguided extension of something that was never that popular anyway. Also, they were Java applets rather than Symbian-specific applications. Also they had a stupid name. But it’s thought-provoking to consider that the biggest mistake Nokia made may have been not charging for them… Apple were wise to get people to invest in their platform. As to the future of MeeGo – Well that’s another post!